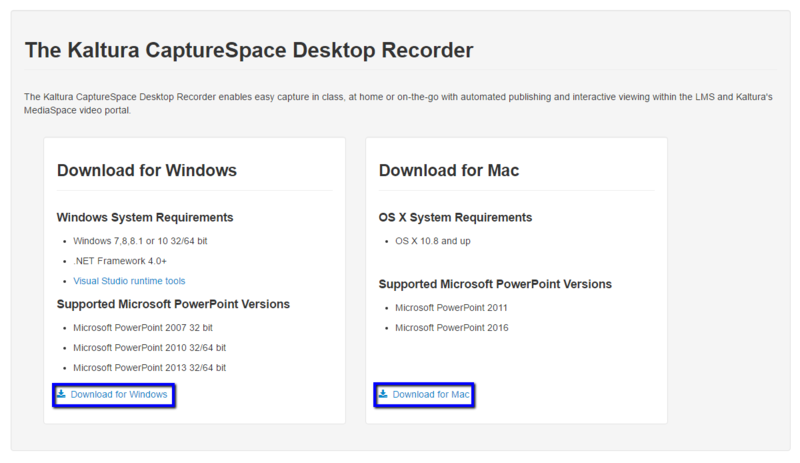 CaptureSpace Lite is the recommended medium for allowing users to create screen, audio, and video recordings. CaptureSpace Lite is a part of My Media and can be accessed through Learn@UW-Stout. Begin by logging into Learn@UW-Stout. 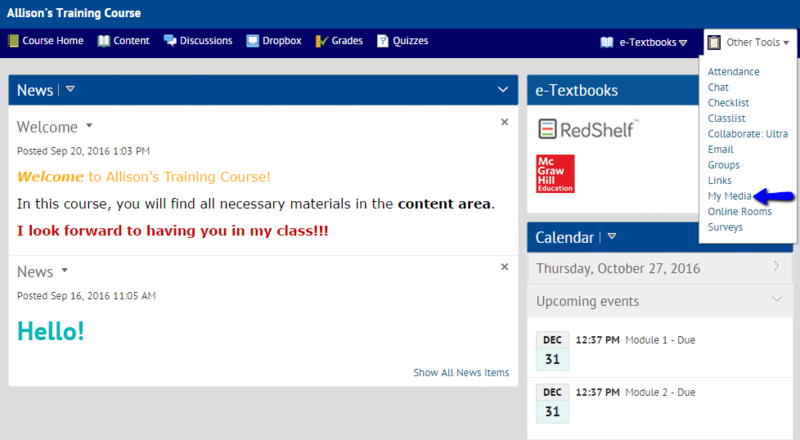 From the "My Home" screen, select any of your courses. This will bring you to the Home page for that course. Then, select the "Other Tools" drop down. Click on "My Media." Before using CaptureSpace Lite for the first time, it must be downloaded. To download CaptureSpace Lite, follow these simple steps. From the drop down menu choose "CaptureSpace Lite." This will bring you to the screen to download it. Choose "Download for Windows" or "Download for Mac" depending on your device. Once the download is complete, return to the My Media homepage. This will open the CaptureSpace Lite recording options. From here you may choose to create a voice, screen, webcam, or screen & webcam recording.